Eastern Park was one of the first sports stadiums built in America and it was built specifically for watching baseball games. 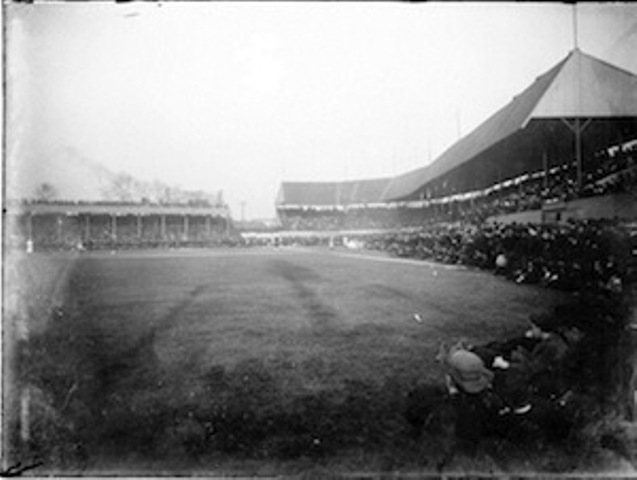 While watching Baseball was its main purpose it also hosted football games and even horse racing events. It was built in early 1890 and celebrated it's opening day in 1894, so by definition the stadium should be characterized as a multi-use stadium as opposed to a baseball specific venue. In the late 1800's Charlie Byrne, president of the Brooklyn Bridegrooms wanted to purchase a plot of land in East New York (1887), as a home for his Baseball team. That piece of property would eventually hold the Baseball Stadium that would carry that name. A problem existed However, because of the possibility of the city extending Junius Street and Belmont Avenue through the plot. Charlie feared a negative effect to the property value so he declined the purchase, at first, but continued to search. When the newly formed Brotherhood team needed a park for the 1890 season, Charlie's interest was again sparked and he renewed his quest. A palatial grand stand was soon commissioned by the Ridgewood Company and designed by Walter Coutts. It was shaped as a partial oval, 433 feet long, and cost $24,950. As construction began, The Brooklyn Eagle boasted that "Brooklyn would have the finest baseball grounds in the country and this Park was that park. The new stadium was originally to be dubbed Atlantic Park, in honor of the former champion Brooklyn team but there were many bar owners who had already taken similar names for their establishments so by consensus it was agreed that the name Eastern Park was more reflective of their neighborhood. But why did a park with such Historic presence live such a short life when compared to Baseball's most worshiped parks. Fenway Park, The Polo Ground, Shibe Park were all being built during that same Era but Eastern Park did not outlive any of them. Some suggests a management problem while others say the parks location was its biggest issue and yet others say it was simply fate. The truth is that it was a combination of them all. Charlie, like all team owners, clearly understood the power of advertising and made effective use of New York's Trolley system heritage. He commandeered the name The Trolley Dodgers, with little resistance, even though the Dodgers never dodged a single Trolley. Nor did Fans approaching the stadium have to cross any trolley lines in order to get to the game. Trolley Dodging was transformed into phrase giving Byrne free advertisement that helped him to bring fans to his newly built baseball stadium. In one of my previous articles, American League Park, we explored The Magic behind the Name. American League Park, like many of these early Historic parks, shared the same history and sometime the same Name. Eastern Park was another one of those parks. When I started this article I found myself a bit confused. Was the Park's Name Eastern Park, or was it Washington Park and if so Why? Well as it works out the blame lies with the Fan's. It was the fans that ultimately dictated the final name of the ball park. The ball park would ultimately carry the name of the neighborhoods that gave the parks a home. Brooklyn had a Park but so did Chicago, Philadelphia, Ohio and Missouri. The growth and popularity of baseball in almost every region of America was fueled the presence of a Professional Baseball Stadium. 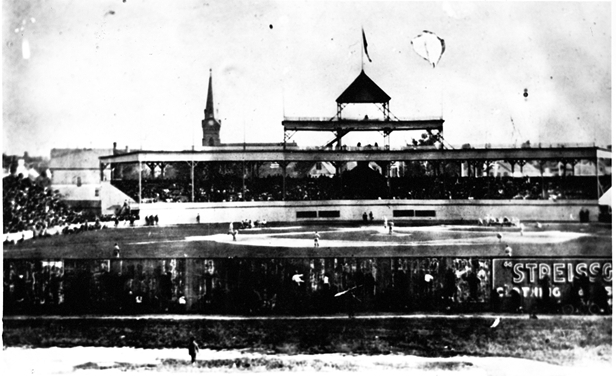 Eastern Park was one of Baseball's first Beautiful Historic Cathedrals and home to some significant historic events. We saw the first Professional Baseball game to deploy 4 umpires in a single game. It was the precursor to what we now, routinely, see in today's Major League games. But this new Park was a marketing disaster. Everything that could go wrong went wrong and were it not for Charlie Ebbitts the park would have been torn down after 1891. Below are but a few of early era ball parks built when Eastern Park was built. 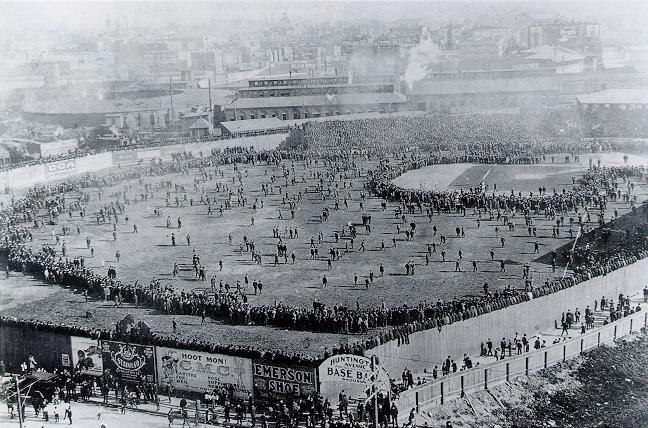 Huntington Avenue Grounds in Boston, which was built in January of 1901. The Polo Grounds was the name of three stadiums in Upper Manhattan. It was built on April 19, 1890 and demolished April 10, 1964. 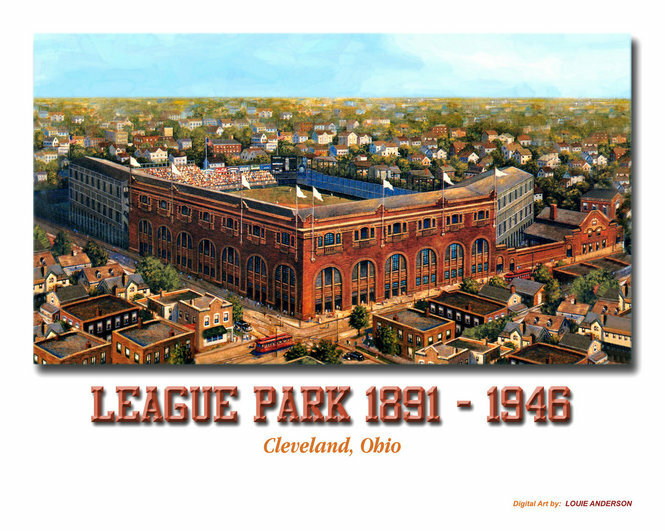 League Park opened on May 1, 1891 as one of Americas' first Baseball Stadiums. 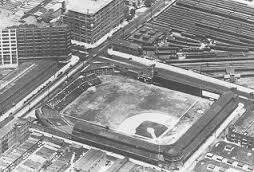 Built entirely of Wood League Park joined a new Generation of ballparks which seated 9000 fans. 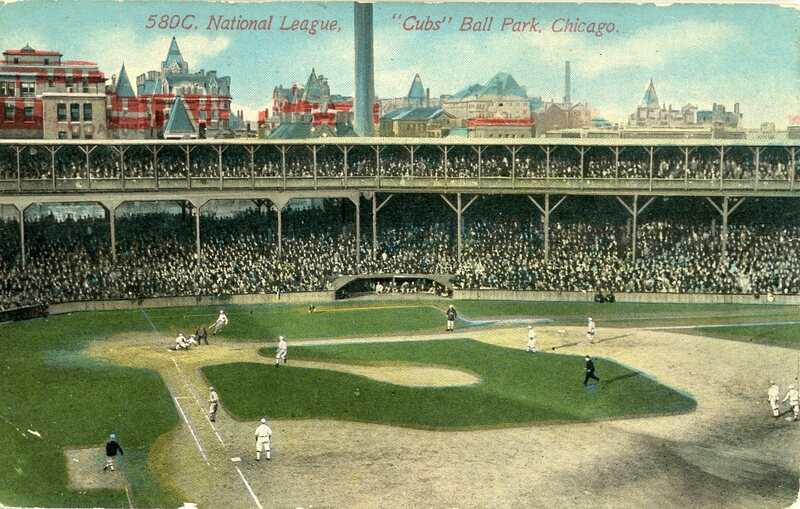 Bennett Park sat 5,000 when opened in 1896 and was gradually expanded to 14,000. It hosted the , 1907 World Series game between the Detroit Tigers and Chicago Cubs in Detroit, Michigan. Located between 16th and 17th Streets, with North Avenue on the north and Lloyd Street on the south. The street name gave the park the moniker by which it was commonly known, the Lloyd Street Grounds. Ebbetts could see the handwriting on the wall and did what he could to keep the park as a viable venue for baseball. The effort was in vain, however, and the park was sold off and demolished soon after the Brooklyn's left. Today, the Eastern Park site is in an aging industrial area, featuring spare tire dealers, piles of rusted car parts, among other unattractive sights. So, as Byrne feared, streets would be and have been driven through the site. Today it is hard to imagine that eight seasons of major league baseball were played at this spot, and that kids would, at the time, part with a hard earned dime to be allowed onto neighboring rooftops to watch the action. But the game is Baseball and it is the greatest game ever played and I am not the only one who knows.